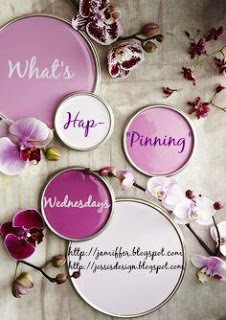 Hey ya'll and welcome to another What's Hap-'pinning' Wednesday with Jenn and little ole' me! Again, thank ya'll SO much for joining us and linking up each week! I was going to share our new little porch reveal but the constant rain we've had lately has postponed the finished product so I'll try and share that next week. Stay tuned! Today I want to share some things that have me in a little premature summer phase. Its supposed to hit 91 by the end of the week here and its only April so a little feeling of Summer is only appropriate. Now remember, I hate heat - hate to sweat and hate being hot. HATE. Strong word - I know. However, if I'm at the beach its a different story. We're actually leaving today for our bay house on the Chesapeake and not coming back until Sunday so I'm a little excited it'll actually be so warm. Mini-vacay to celebrate my Dad's 60th - here we come! 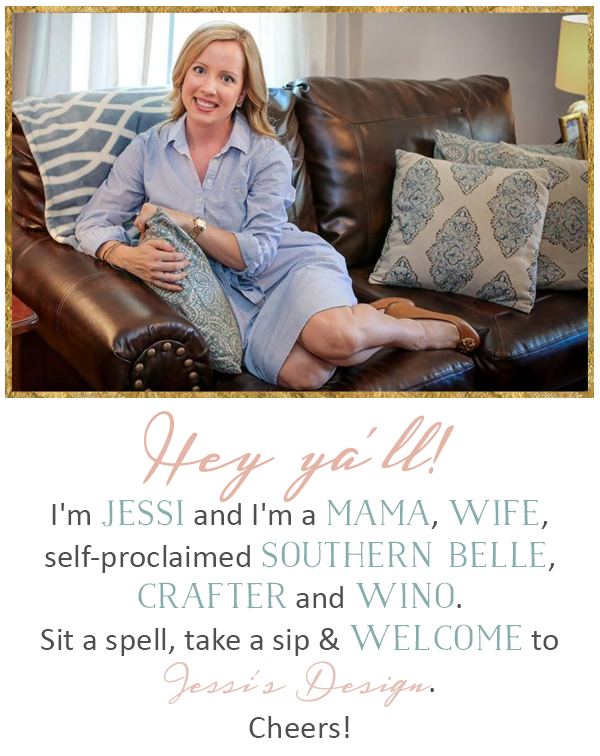 Grab our button, link up below and see some of the things that have me in the summer mood. Also speaking of summer, anyone jumped on the workout train yet? Ah I'm the worst but I've been doing really well with squeezing in at least 3 to 4 workouts per week upstairs in my new office/workout/playroom. (haha) I stick to in-home favorites like 21 day fix full body cardio, basic pilates and Jillian Michael's ripped in 30 but these 10 moves are a perfect reference to what's covered in the core section of the videos. Love that swimsuit and yes to all of those yummy drinks that I'll be able to have in just a few short weeks!! Yes! Give me allllll the summer drinks! ;) Love that swimsuit! 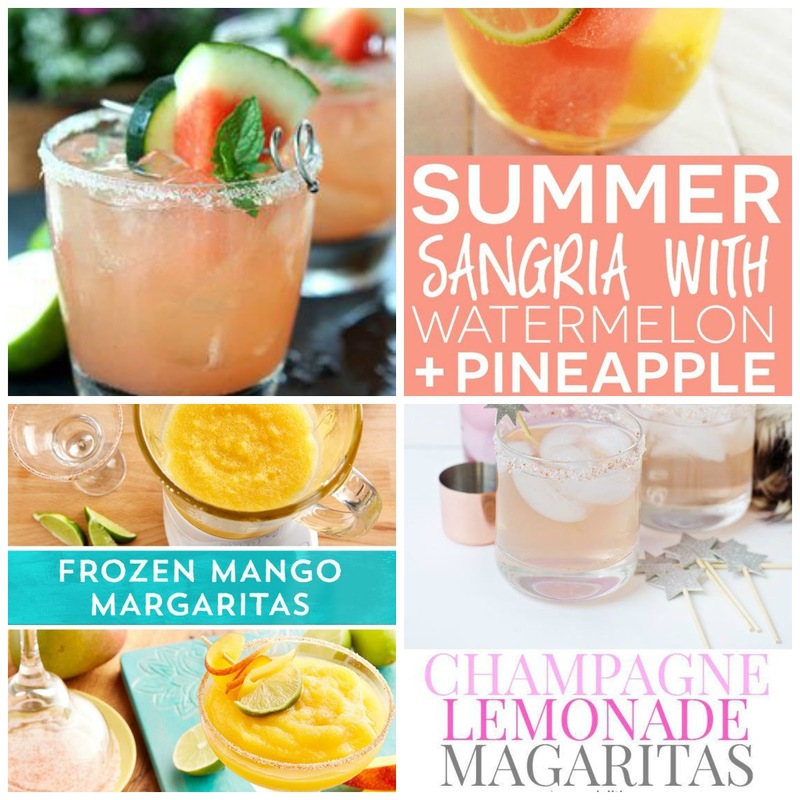 Those summer cocktails look delicious, definitely want to make the watermelon sangria! Those drinks have me drooling! I love sitting outside when it's nice out, having a drink!! Oh my goodness that swimsuit is going to be precious on you!! I've definitely been getting the workouts in and hopefully I'll feel confident enough to sport a swimsuit very soon. Have a great Wednesday! Oh gosh, I hate the heat too. I get hot so easily. But it's nice when I can relax in the pool. I hope you have a nice time away - and Happy Birthday to your dad! I too HATE the heat! I hate it!! Love that swimsuit!! Have fun on your mini-vaca celebrating your Dad's Bday! Hope he has a wonderful bday! Love that suit! I need to find a good one! That watermelon cucumber drink sounds perfect for summer! 91° this weekend?! Holy smokes! Well be lucky to hit 60! Lol. Enjoy your long weekend at the bay house and Happy Birthday to your pops! That bathing suit you ordered is gorgeous!! I HATE being hot, too! HATE it. And the older I get the more I hate it. Haha. That swimsuit is gorgeous, girl! I can't believe it's that hot up there!! It's been in the 90s here but the last few days have been amazing! Love that swim suit - it's going to look so cute! Great job keeping up with the workouts!! That is a pretty bathing suit. Love the look of it. I want all of those drinks. They look perfect for summer. Now only if I could have some summer like weather here. That suit is so pretty and good for you for getting your workouts in! I have been so slacking with all the rain, but I'm hoping to get it back into gear ASAP. Can't wait to see your porch reveal! Love that bathing suit! how pretty! That bathing suit is so pretty and perfect for Summer! And those drink recipes looks amazing! I can't wait to try them! !